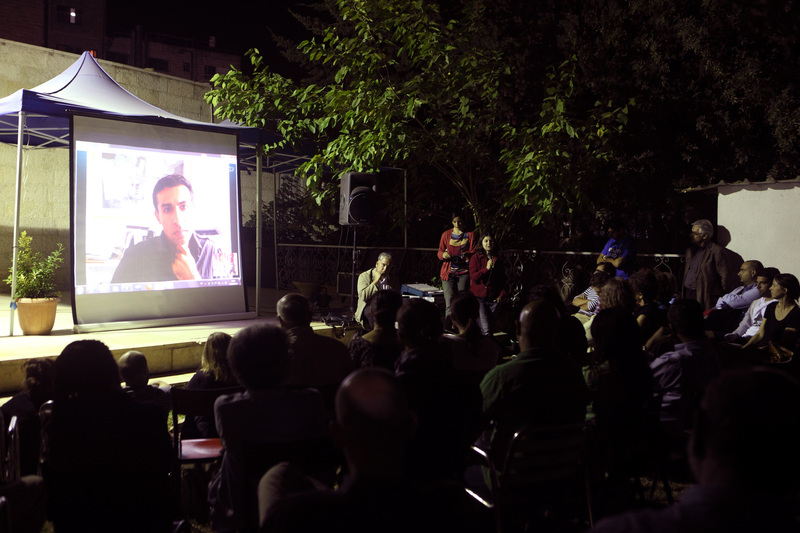 We had the great opportunity to show a preview screening of a newly edited 40 mn rough-cut of our documentary “Flying Paper” at the French Institute, in partnership with the Educational bookshop, in Jerusalem. We were lucky that the weather was still warm enough to have an outdoors screening on a big screen in the beautiful garden at the Institute which became so packed that we had to add more chairs after the start of the film. The evening started with opening speeches from Yves CORBEL, the Director of the French Institute; Christopher Gunness, the spokesperson from UNRWA and Anne Paq, co-producer of Flying Paper, who presented the film. Anne reminded the audience that the version about to be shown was not the complete film but that preview screenings are essential to engage with the audience and get feedback at a crucial stage before the final editing and also to gain some support for funding the post-production work of the film. 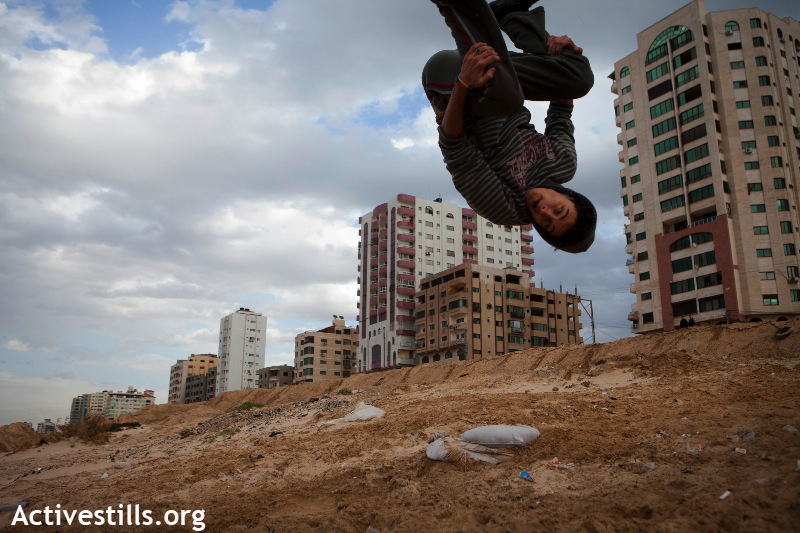 Prior to “Flying Paper”, we also premiered “Not a Dreamland”, a new 6-minute multimedia by the photo collective ActiveStills (whom Anne Paq is a member of) showcasing emerging artists and alternative sub-cultures in Gaza. This multimedia feature combines videos, stills and sounds collected in February 2012 by Anne Paq , exploring cutting-edge arts and music sub-cultures in the occupied and besieged Gaza Strip. Interview extracts and striking images give context to the conditions under which these artists create, giving vivid insight into a vibrant aspect of Gaza that is rarely seen. Both films were obviously connected as they have at their heart the beautiful and creative resilience of young people living in Gaza despite the odds. 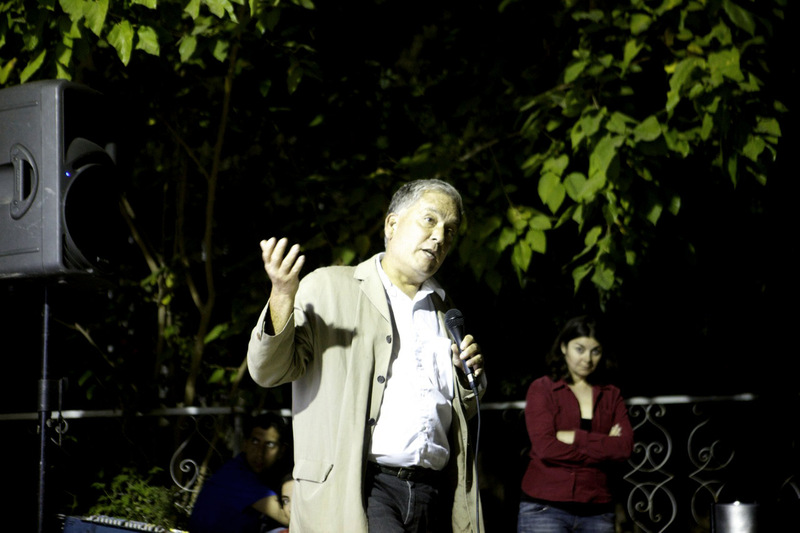 After the screening of Flying Paper, the audience had a very engaging and vivid discussion with Christopher Gunness who made essential points about the social, economic and political context in Gaza; Anne Paq and even one of the directors, Nitin Sawhney who, although in New York, could join us remotely via a skype conference. especially in the United States where most people remain ignorant about the reality of Gaza on the ground and are filled with negative stereotypes. Another underlined that in light of such ignorance, it would be useful to include more context about the dire situation in Gaza into the documentary. Nitin answered that as filmmakers they have tried to keep the narrative of the film as close as possible to the children and humanize their stories, and get audiences to become more curious about the situation in Gaza, rather than bombarding them with facts (which many other films have often done). However, Nitin indicated that in the final version of the film many new sections will be added, especially with wonderful animation sequences that will deal with the siege in Gaza in more poetic and cinematic ways. Representatives from other French institutes also expressed their willingness to show the film in venues throughout the West Bank and Gaza. The Flying Paper film production team wants to thank all of those who participated to make this sneak preview screening an inspiring and successful event in Jerusalem!